Updated Friday June 22, 2018 by Nashua Cal Ripken. 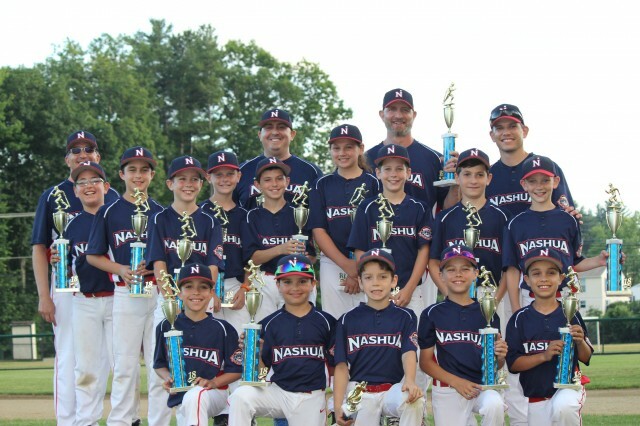 Nashua swept the District 4 Cal Ripken tournament winning 20-3 in the finals over Merrimack. Nashua’s offense was a balanced attack with 17 hits in the final. Kyle Emmons, Jack Razzaboni and Michael Witkowski pitched well, holding Merrimack to just 3 hits in the finals. For the tournament, Nashua scored 43 runs in three games on 35 hits, and held its opponents to 9 total runs and just 12 hits overall. Nashua advances to the NH State Championship in Rochester in July.